Australia: Increasing vitamin B supplementation may be beneficial for maintaining concentration skills in people experiencing a first episode of psychosis, according to a new study. The study, published in the journal Biological Psychiatry, found that increasing intake of vitamins B12, B6, and folic acid [vitamin B9] could decrease the level of amino acid homocysteine in patients with schizophrenia and improve their symptoms. Elevated homocysteine is observed in schizophrenia and associated with illness severity. Kelly Allott, Orygen, The National Centre of Excellence in Youth Mental Health, Parkville, Victoria, Australia, and colleagues determined if increasing the intake of B-group vitamins lowers homocysteine and improves symptomatology and neurocognition in people with schizophrenia. “Given previous studies have shown that increasing the intake of vitamin B12, B6, and folic acid decreases homocysteine levels and improves symptoms among people with schizophrenia, we wanted to find out whether giving these vitamins to people experiencing first episode psychosis would achieve similar results,” said Dr Allott. 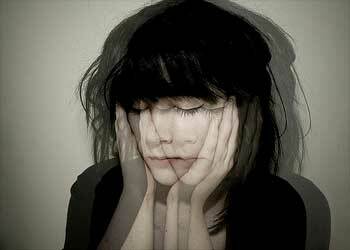 The first episode of psychosis can be a precursor to developing schizophrenia but psychotic symptoms may also be associated with bipolar disorder or severe depression. In the study, 100 young people attending Orygen Youth Health’s Early Psychosis Prevention and Intervention Centre (EPPIC) were randomly assigned to receive either B-vitamin supplements or a placebo tablet once per day over 12 weeks. During this period, patients’ homocysteine levels, symptoms and cognitive functioning (e.g., memory, attention, language, and learning abilities) were assessed.